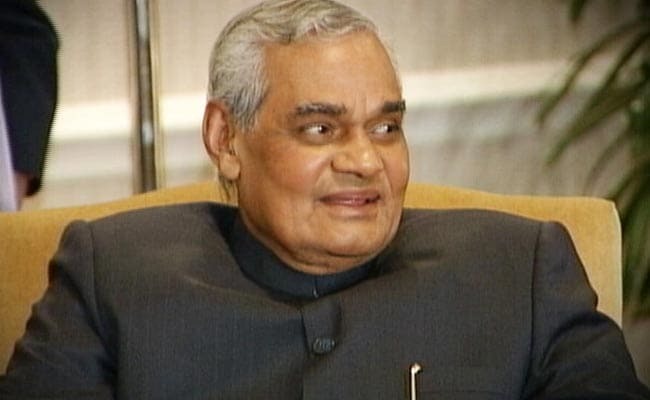 Atal Bihari Vajpayee, 93, died at the All India Institute of Medical Sciences (AIIMS) hospital in Delhi yesterday evening after a prolonged illness. RSS chief Mohan Bhagwat said the void created by Vajpayee's demise would remain forever. RSS chief Mohan Bhagwat yesterday described former prime minister Atal Bihari Vajpayee as a universal leader who had instilled Indian values in public life. Mr Vajpayee, 93, died at the All India Institute of Medical Sciences (AIIMS) hospital in Delhi yesterday evening after a prolonged illness. "Vajpayee was a steadfast & universally accepted leader, a great personality who instilled Bharatiya culture & values in public life (sic)," Mr Bhagwat tweeted using the RSS's Twitter handle. He said the void created by Vajpayee's demise would remain forever. "We join the nation in paying our deepest respects to the departed soul," Mr Bhagwat said.